As per the news report dated June 2, 2016, by order of Prosecutor Danton Leger, nine former Haitian electoral officials and 11 Cabinet ministers of former President Michel Martelly's administration have been forbidden to leave the country. The order came from the new Government Commissioner of Port-au-Prince Danton Leger, shortly after the release of Verification Commission's report recommending October's presidential first-round election conducted by the former Martelly administration should be "restart from zero" -- because, it was marred by serious irregularities, grave inconsistencies, and massive fraud; only 9% of the total vote cast has been found to be valid. The violation of the Act and commitment of fraud was masterminded at a "high level". 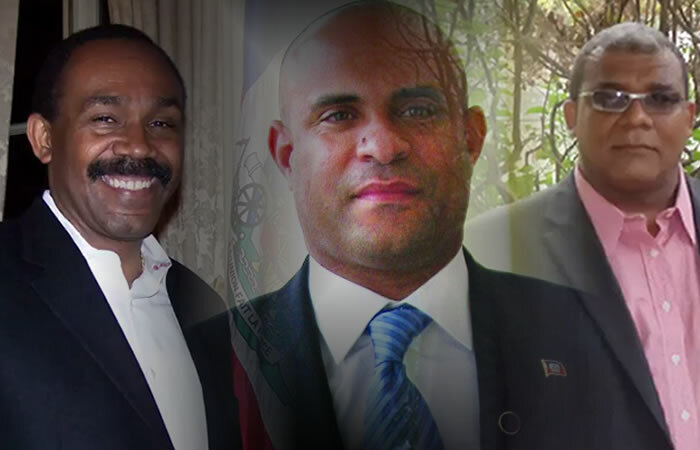 The names of two Prime Ministers of Martelly administration Laurent Lamothe and Evans Paul were found on the lists, forbidden to leave the country. As per Justice Minister Camille Junior Edouard, the interim government had nothing to do with the prosecutor's decision. Prosecutor Leger did not respond to a request for comment. Here is a picture of Jocelerme Privert and Laurent Lamothe. The installation of Privert as an interim president was an unprecedented event; it happened without any protocol. Nobody was sure about the identity with which Privert was present then in the Assembly, whether he was there as a senator, or a candidate or the President of the Assembly. Jocelerme Privert was an adviser to former President René Préval. With his expertise and contribution on Haiti's most important relationship with Venezuela, he earned a nickname "Mr. PetroCaribe". His proficiency on tax systems and profound understanding of the State administration, stand both on academic knowledge and great practical experience. However, he does not possess good knowledge of the laws. On April 4, 2004, Privert was falsely accused of involvement in the La Scierie massacre in Saint-Marc and was imprisoned for 26 months, but quietly, he has been able to remake his image. With his new responsibility, Privert's main challenge will be to find a consensus on the aspiring participants, because most of the opposition political parties are demanding complete cancellation of the October 25, 2015 election. They are not even happy with his selection. He has to find out a consensus prime minister and government who will need to help him constitute a credible nine-member electoral council. Privert has taken took oath as the provisional President of Haiti on the night of February 13 to 14, 2016, and has promised that he will do his best to conduct the new election as soon as possible. Mèsi paske ou te mande men Ansyen Premye Minis ayisyen Laurent Lamothe anfòm. Li si tèlman anfòm ke li jis louvri yon lòt konpayi. Se yon òganizasyon ki nonmen "Laurent Salvador Lamothe Inisyativ Mondyal" (LSLWI) ak objektif pou ede peyi émergentes yo ak gouvènman yo nan tout mond lan pou yo reyisi sosyalman ak ekonomikman. LSLWI ki se yon òganizasyon konsiltasyon ap ede gouvènman sa yo rezoud pwoblèm pwòp yo, epi founi yo bon solisyon pou sitiyasyon espesifik yo. 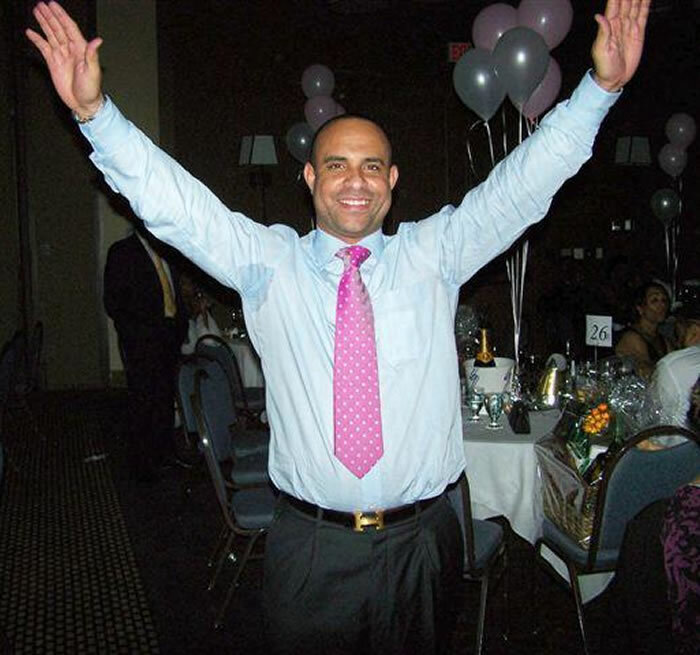 Thank you for asking but Former Haitian Prime Minister Laurent Lamothe is doing just fine. He is currently doing so well that he just opened another company. It is an organization named "The Laurent Salvador Lamothe World Initiative" (LSLWI) with the objective to help emerging countries and their governments all over the world to succeed socially and economically. LSLWI which is a consulting organization will help these governments solve their own problems and provide them with adequate solutions for their specific situation. 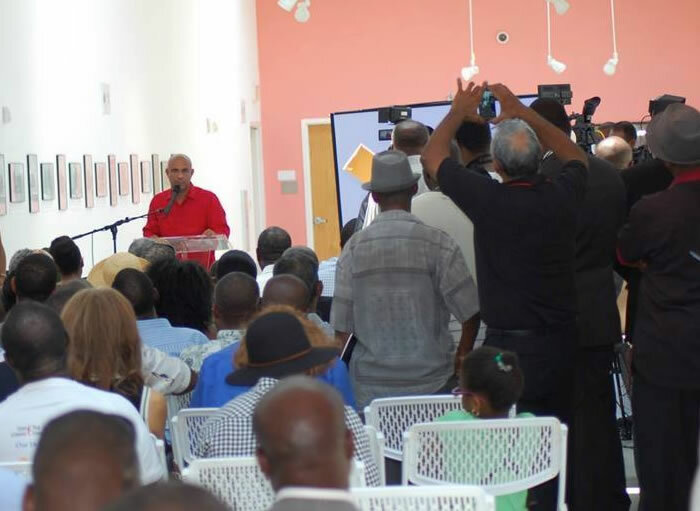 Here is a picture taken on June 8th 2015 during a Press Conference at The Little Haïti Cultural Center where candidate, Laurent Lamothe, held a town hall to inform the Haitian Diaspora in Miami about the "injustice" that the Departmental Bureau of Electoral Disputes (BCED) did to him. On June 3rd, the Provisional Electoral Council (CEP) has announced its decision to bar the presidential candidacy of the former Prime Minister Laurent Lamothe on the ground that he lacked required discharge which he was required to submit under the electoral law to affirm that that he did not misused any government funds. 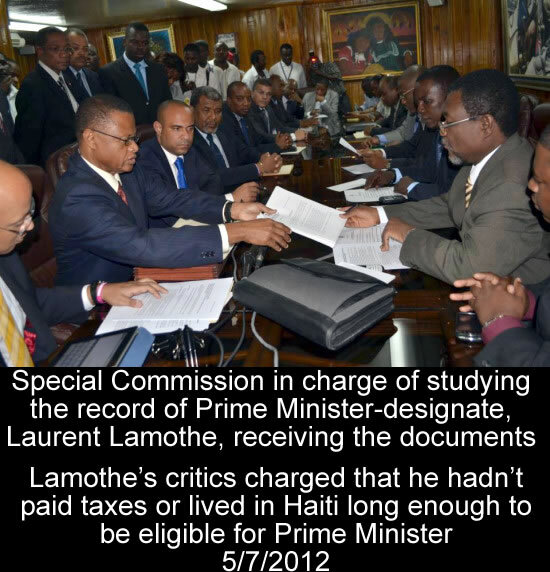 However, the fact is that Lamothe could not provide that 'discharge' due to a defunct parliament and President Martelly has announced that he would not grant discharges for anyone by decree. Lamothe has always maintained that he should be allowed to run without a discharge by the CSCCA, because independent auditors have cleared him of financial mismanagement. The decision of CEP appears to be unfairly discriminatory because there are other candidates like Lamothe, who were never called for to submit any 'discharge' (for example, Thierry Mayard-Paul, Duly Brutus and Mario Andersol), but were allowed to proceed for the contest. Minister Theano has gone on record to say the audio leak of recent days has been tampered with. It is not true that ex-Prime Minister Lamothe--as he has been purported to have said--had no knowledge of being pre-registered for the upcoming elections by Theano. The act of sabotage was exposed when Lamothe showed up at the Departmental Electoral Office to file as a candidate for president with Peyizan political party. Haiti is an impoverished nation which is struggling to recover from a number of hurdles like devastating earthquake, a major cholera epidemic and chaotic political instability these might seem great challenges, but no less than 70 presidential candidates believe they are the best for the job. However, out of the total 70 candidates, the candidacies of 5 contestants have been doubtful as they are questionable. The candidacies of Laurent Lamothe, Jovenel Moïse, Jean-Henry Céant, Kesler Dalmacy and Edwin Zenny have been challenged for various reasons. 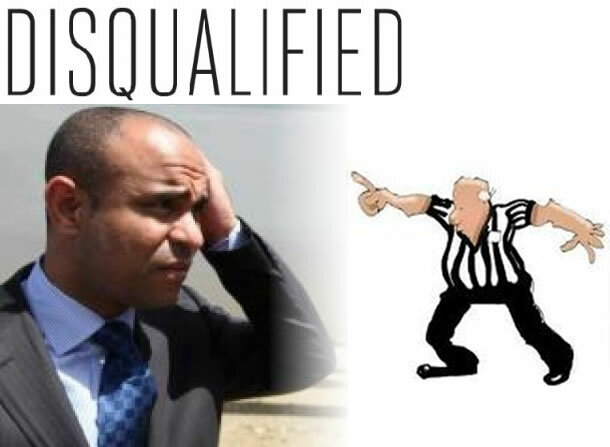 The candidates with their respective reasons for contesting are: (1) Laurent Lamothe could not submit a certificate issued by the Superior Court of Auditors and Administrative Disputes (CSCCA) that he has not mismanaged public funds. (2) Jovenel Moïse, could not disclose the sources of his candidacy fund, (3) Jean-Henry Céant, a notary, for his involvement in the destruction of houses in the downtown area Port-au-Prince; (4) Kesler Dalmacy, his eligibility based on residential status is questionable; and (5) Edwin Zenny, is contesting against charges of drug trafficking and vehicle theft. 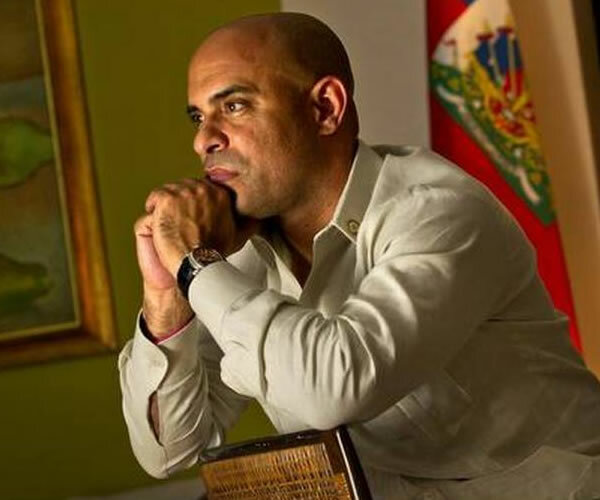 Former Prime Minister Laurent Lamothe as well as the general public will not have to wait too long to see whether or not his candidacy for the presidency is serious. BED Ouest does not want to waist any time. The Secretary-Tresurer of BED West, Luther Eugène, just announced that the hearing for those challenging the candidacy of Laurent Lamothe will begin Monday, May 25, 2015. It was the responsibility of the Haitian Parliament to decide whether the submission of discharge certificate issued by the Superior Court of Auditors and Administrative Disputes (CSCCA) is mandatory to allow former ministers to compete in elections. However, the former Prime Minister Laurent Lamothe, one important presumptive candidate for the presidential contest, could not provide that because of a defunct parliament. That could not stop the Provisional Electoral Council (CEP) to decide unilaterally, barring him contesting the presidential election when they received the petition filed by Jean Nazaire Thidé, Coordinator of the party of radical opposition "JISTIS", challenging Lamothe's candidacy. A part of the common citizen believes this act of the Provisional Electoral Council (CEP) is usurping. It is neither the right of President Michel Martelly, the Superior Court of Auditors or the electoral council to give an up or down vote on "discharge certificates". The Haitian people should be allowed to decide on the issue of discharges via their votes, on the election day. Will Prime Minister Lamothe "Pran Kanet"?